A wonderful sight this autumn growing over the Electrical Sub Station .The young shoots which look like nettles can be eaten as a salad. 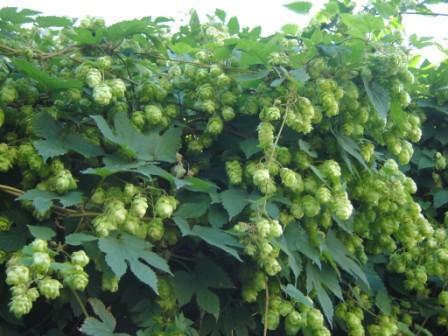 The flowers add taste and nourishment to ale and leaven bread. 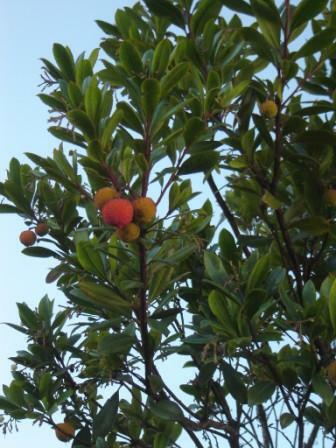 A small evergreen tree with Lily of the Valley-like flowers and edible if tasteless fruits of a strawberry like appearance. Growing in a small bed behind the statue of Captain Scott at the entrance to the garden. 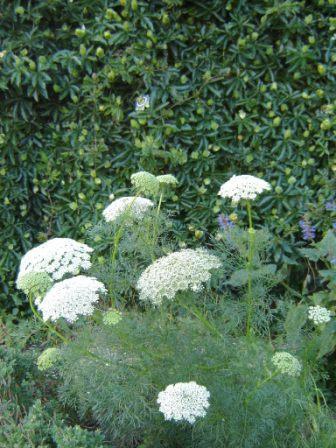 4-inch platters of white architecturally shaped cow parsley like flowers on delicate dill like foliage. The flowers have a greenish tinge to them. Growing in the Potting Shed bed and around the Strawberry tree.